Easter is just around the corner and we have some fantastic ways to make the most out of this season as we reflect on the true meaning of Easter. Yes, bunnies and eggs are fun but just like Santa doesn’t make Christmas, Easter is more than the Easter bunny. Christians around the world come together to celebrate the life, teachings, sacrifice, death and finally the resurrection of Jesus Christ. I love the scripture found in Isaiah 9:6 that is often quoted during the Christmas season. 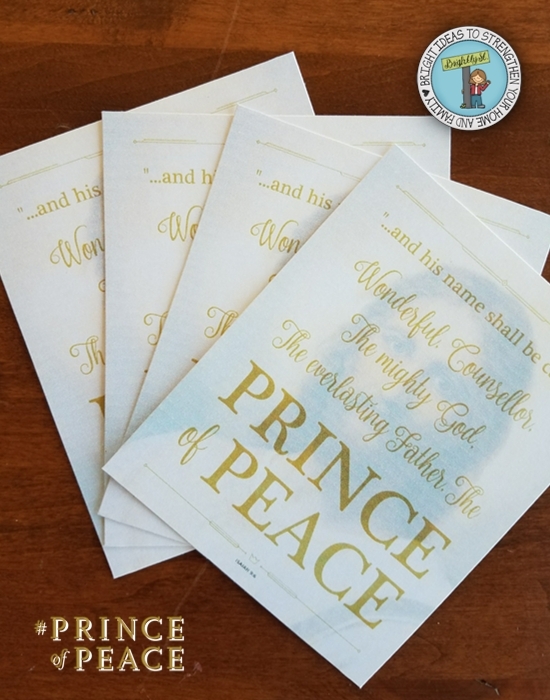 It reads, “For unto us a child is born, unto us a son is given: and the government shall be upon his shoulder: and his name shall be called Wonderful, Counsellor, The mighty God, The everlasting Father, The Prince of Peace.” This Easter, we will be focusing on the final statement in this scripture…Prince of Peace. The world seems to be increasing towards hate, intolerance and anger. Those words are at complete opposites with the word peace. I don’t think many people wake up ready to spread hate and anger throughout the world yet it has become an increasing past time especially on social media. I think most people are striving and wanting to find peace, but just don’t know which way to turn. How can we find calm and peace in such a world when pointing fingers, degradation and insults are as common as the air we breathe? I have the secret… it is through Jesus Christ, the Prince of Peace that we can find true joy and peace while the world around rocks in turmoil and strife. As we look towards Jesus Christ, who has set the perfect example and then attempt to follow in his footsteps, we can uplift the brokenhearted, extend a hand of mercy and unrestrained love. Only as we follow Christ’s example can we truly find peace. Over the next several weeks, I will be sharing stories about people who, to me, have exemplified one of these core principles of peace. This life is meant to challenge us to see what road we will take as we muddle through it and not only seek for peace for ourselves but for all those around us. There is so much for us to learn from each other! The principles of peace that we will be focusing on this Easter will help you reflect upon your own life. We hope you will join us in sharing your stories with us as well. Please leave a comment here or share it on our Facebook Page. Use the hashtag #PRINCEofPEACE as you tell your tale on social media. During Christmas our interactive advent calendar was a huge hit, so we decided to make one similar for Easter as we highlight these 8 principles. The banner that is pictured below has a QR code on the backside that you can just scan. 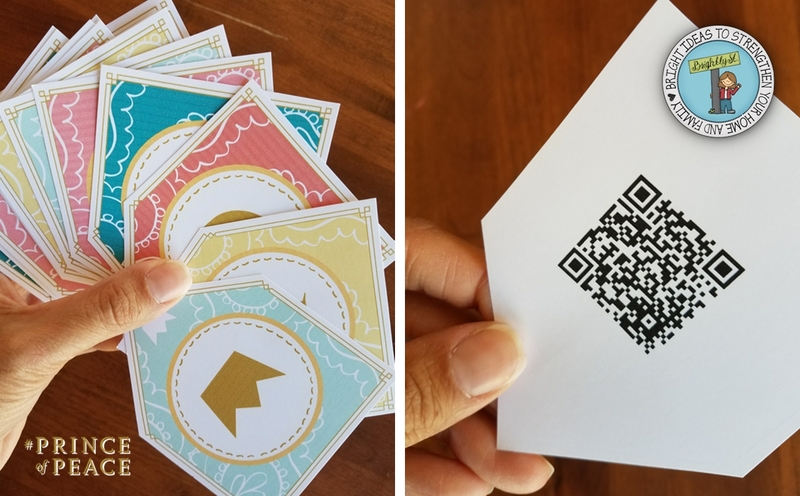 It will take you to one of the eight principles of peace where you can watch a short video, listen to beautiful music and download some fun printables. Here is a sneak peek at some of the printables that will be available for you to download starting this Friday, both in English and Spanish! A very special thanks to Brent Borup for the beautiful portrait of the Savior that now sits over our mantel. 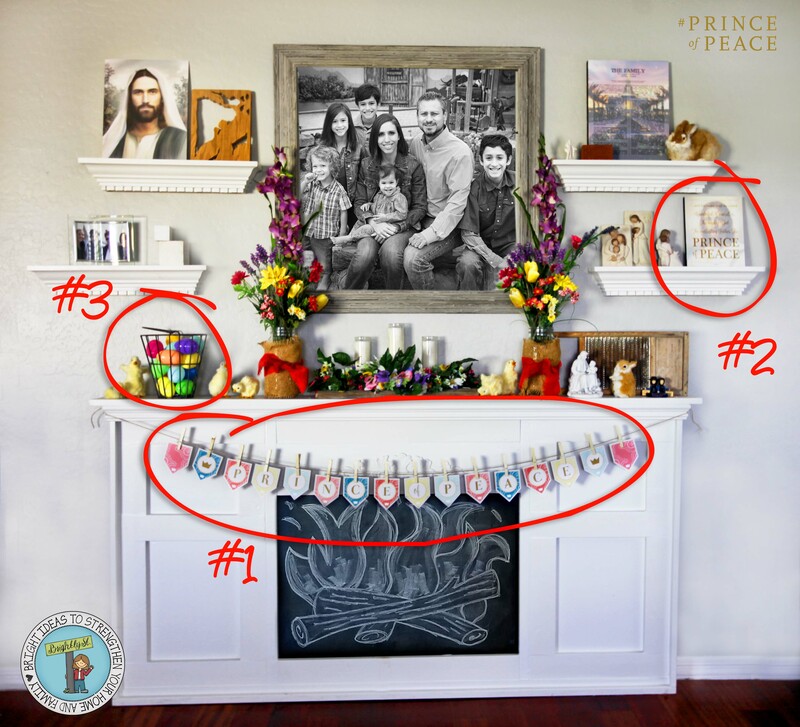 We can’t wait to get started as we share with you not only a few fun Easter designs, but you will also get a glimpse into the hearts of our loved ones past and present as we share some inspiring stories with you while uncovering the PRINCIPLES of PEACE from the master teacher, the PRINCE of PEACE. For more inspiring videos, visit Mormon.org.